If using wood I use Titebond II and if using anything else it is always epoxy. End to end grain is the weakest joint you can make but what will give it some strength will be the addition of a tube. But with all segmenting work much care is needed when turning and there are hundreds of threads on this in the segmenting forum. Good luck. 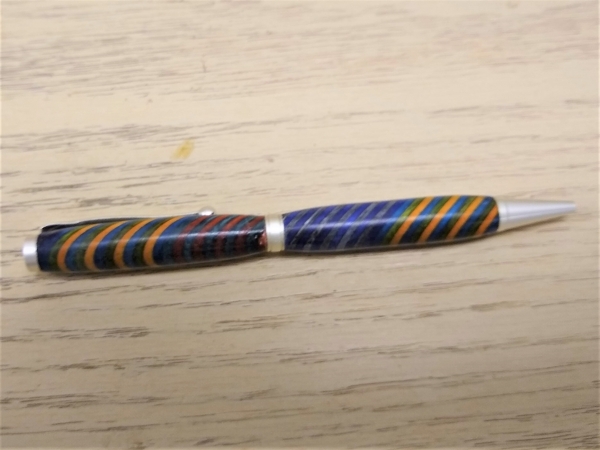 Rainbow blank and rainbow pen. Gwen was able to get in today to turn again because of a cancellation, and she made this rainbow pen. She had a little chipout right at the centerband...a problem with turning spectraply crossgrain. Last edited by sbwertz; 02-13-2019 at 02:23 PM. Thanks for posting these pics showing the "rainbow" concept, Sharon. Thank you Sharon. I saw spectraply in person for the first time at Woodcraft. I forgot to buy a piece!! I also didn’t examine it closely. Is it laminated dyed wood? 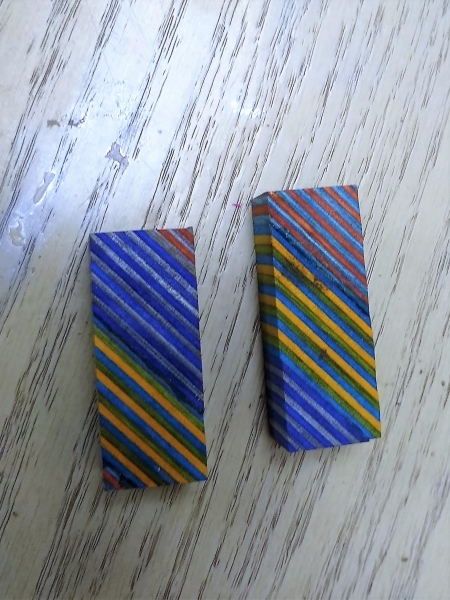 It is laminated dyed wood.